The fabric looks like a shiny metal and features double-wall design that forms a radiant barrier to effectively reflect UV, visible and infrared rays. Probably you use reflective sheets over your tent as soon as the sun begins to rise to avoid overheating inside your pavilion. 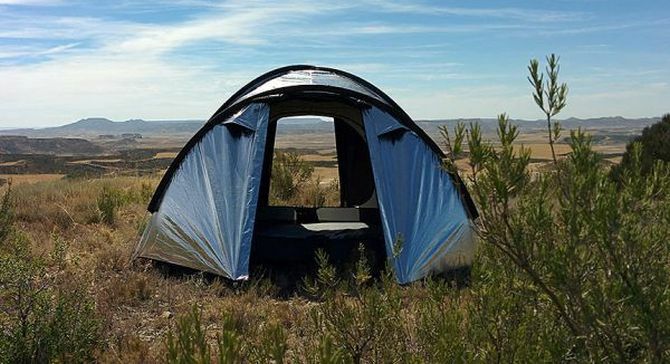 But nothing gets better than a tent that’s actually capable of keeping interior cool even during hottest summer days. So, waking up inside overheated tent on hot summer days would totally be a thing of the past. Siesta 4 Tent is a must yurt for any nomad who love traveling and camping during multiple summer festivals. Currently, the project is seeking funds on Kickstarter for initial amount of about $100,000 to reach its production phase. A pledge of $265 will get you Siesta 4 without a fan, however for additional fan you need to shell out $300. 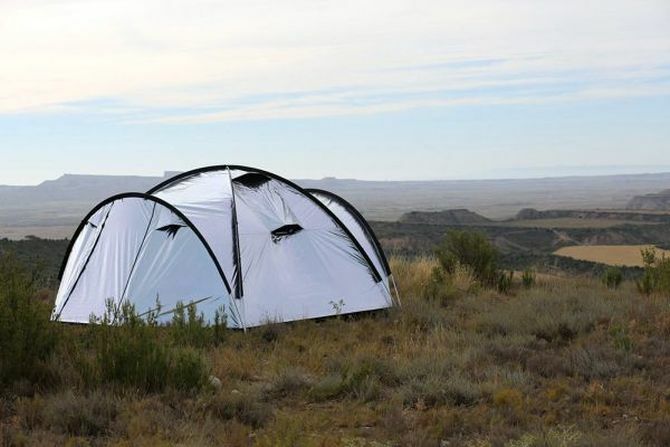 The mind-blowing tent is surely going to improve your camping experience like never before. For more information you may visit the designer’s official Facebook page and also check out the video given below.